Our winter elopements are super popular (you can find more about them here), but something we’ve never done before is a summer elopement. As I’m sure you already know, summers at Ever After are reserved for our gorgeous ‘big’ weddings (i.e. up to 120 people), and we save the intimate celebrations for the colder months. This year, however, we decided to change things up a bit! In June, we had our first ever summer elopement; Nicola & Steve. And they set off our 2018 summer trend… Yep, you guessed it, summer elopements! 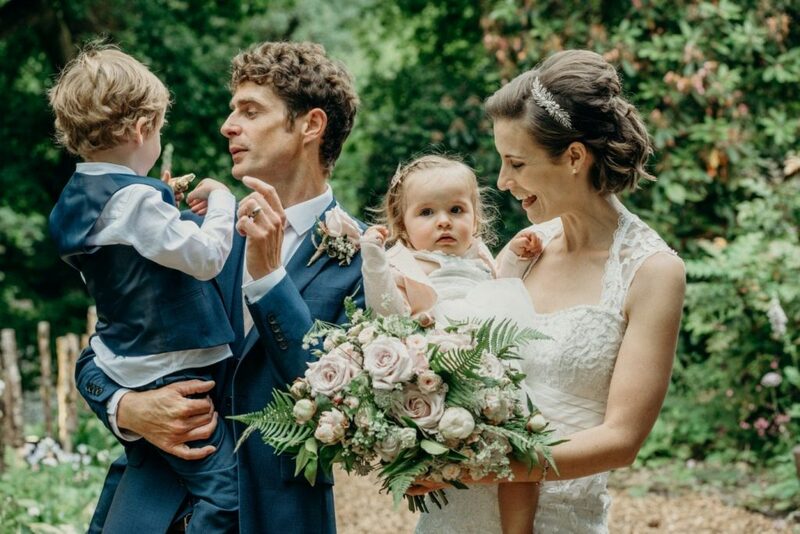 An intimate day for this lovely couple and their gorgeous little family. Nicola & Steve got married in the wedding barn before having drinks & canapés on the riverwalk and photos in the gardens. 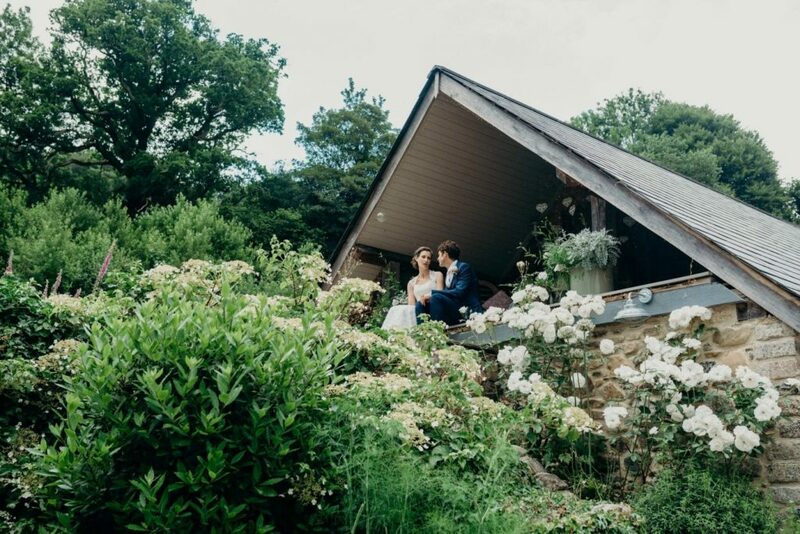 With blush pink & ivory tones, and a relaxed & rustic feel to their day, Ever After was the perfect secret garden for their private wedding. So, what does a summer elopement at Ever After look like? Well, the short version is it’s an elopement wedding, but in the summer… I’m not being facetious (well, not really), there are only a few differences between a winter and a summer elopement. Firstly, the grounds. Obviously during the winter months we’re talking autumnal leaves, bare trees, with maybe a touch of frost on the grass. The luscious greenery that surrounds Ever After is mostly saved for summer, which gives the venue a whole different look. Personally, I think Ever After is just as beautiful in the winter as it is in the summer. There’s definitely a different kind of magic in the winter, and I am partial to a bobble hat and a mulled wine… But it also doesn’t get much better than lush foliage and bold flowers. It’s a tough one! Anyway, the temperature in the summer is another obvious difference (especially this summer. Hello heatwave!). Because of the warmer temperatures, you won’t be seeing any sheepskin rugs or hot water bottles for a summer elopement. It’s more alfresco dining on the terrace, canapés on the riverwalk, and outdoor furniture & lawn games (including the giant deckchair – win!). 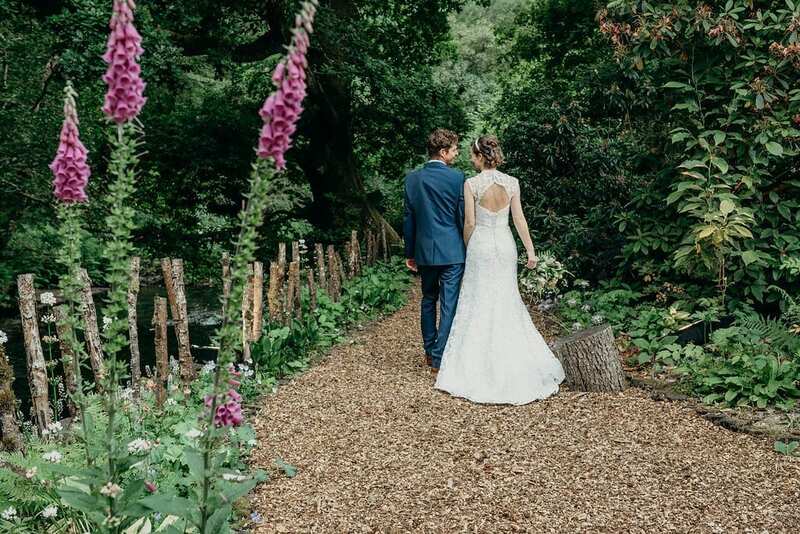 The wedding day timeline remains much the same for an elopement in the summer, but it is very much a summer wedding, so the ‘overall feel’ of the day is very different. We have a couple more elopements coming up this summer, so watch this space for more intimate summer pics! I’m glad you asked! Next year we are introducing something different (again! ), which you can read more about here. We haven’t released any elopement dates yet for next summer, so it really is exclusive to 2018. But, don’t panic. We still have one September 2018 date left, so get in touch asap if you’d like to book! If you’d like to see more from Nicola & Steve’s wedding, head over to their real wedding page. Previous PostOur midi mid-week weddings officially launched!